Start in Lima and end in Rio de Janeiro! 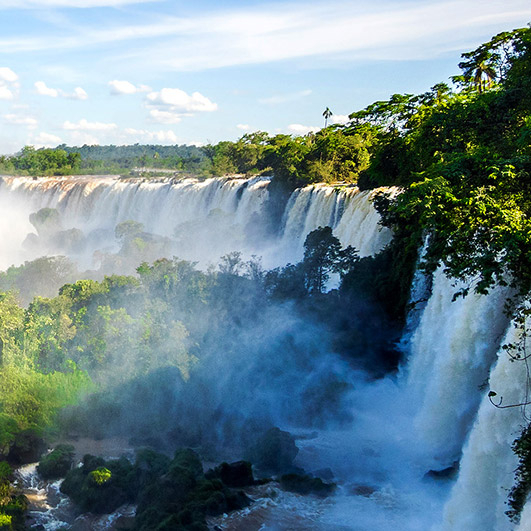 With the discovery tour Grand South America (Summer 2019), you have a 22 day tour package taking you from Lima to Rio de Janeiro and through Lima, Peru and 20 other destinations in Latin America. Grand South America (Summer 2019) includes accommodation in a hotel as well as an expert guide, meals, transport and more. Day 2: Lima City of the Kings. Day 3: On To The Sacred Valley. Day 4: Exploring the Sacred Valley. Day 5: Journey to Machu Picchu. Day 6: Mysterious Machu Picchu. Day 7: Return to Cusco. Day 9: Lake Region of Peru. Day 10: The Floating Islands of Lake Titicaca. Day 11: Puno, Back to Lima. Day 12: Fly to Santiago. Day 13: The Sights of Santiago, Valparaiso and Wine Country. Day 14: Fly to Buenos Aires. Day 15: Beautiful Buenos Aires. Day 16: Pampas, Estancias and Gauchos. 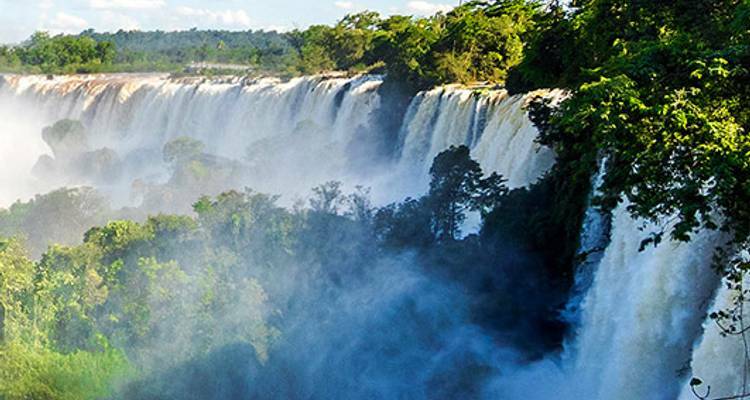 Day 17: The Falls of Iguassu. Day 18: The 'Great Waters' of Iguassu Falls. Day 19: Rio de Janeiro, City of Sea and Samba. Day 20: Exploring Rio de Janeiro. Day 21: A Farewell to Rio de Janeiro. Day 22: Depart Rio de Janeiro. TourRadar can request Luxury Gold to hold spaces for you for up to 48 hours without any credit card details. TourRadar only requires a deposit of $99 to confirm this Luxury Gold booking. The remaining balance is then payable 90 days prior to the departure date. For any tour departing before 25 July 2019 the full payment of $9,924 is necessary. No additional cancellation fees! You can cancel the tour up to 90 days prior to the departure date and you will not need to pay the full amount of $9924 for Grand South America (Summer 2019), but the deposit of $99 is non-refundable.